It has been exactly 19 months since the day Tamir Rice was gunned down outside Cudell community center by two Cleveland Police officers: Timothy Loehmann and Frank Garmback. This coming Saturday (June 25) is Tamir’s birthday. he would have been 14 years old. Although his family is not planning a community celebration in his honor, they still want the community to remember Tamir on this day, and to continue to pray for the family as they mourn the loss of such a precious life. The Rice family wants the community of Cleveland and abroad to know that they have not given up their fight for Justice for Tamir, but that they are still actively seeking a federal investigation from the Department of Justice. 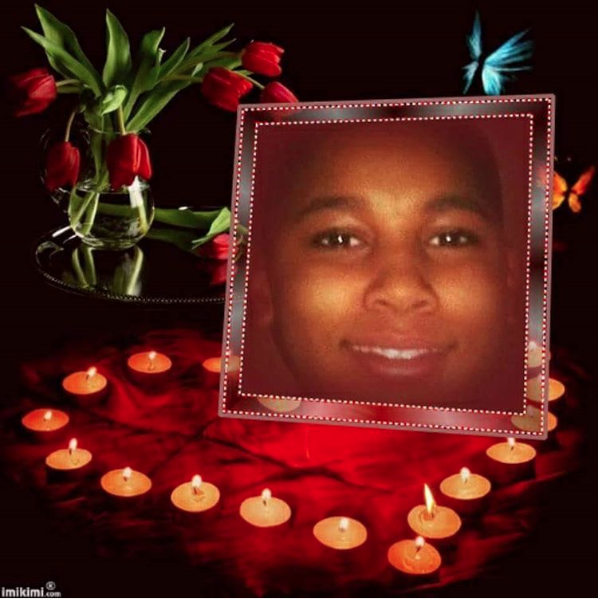 “I, Samaria Rice, want the people to remember Tamir’s birthday is Saturday and he will be turning 14 years old. I’m not going to have an event this year. This has been an emotional journey for my family and me. I’m still seeking justice from the Department of Justice through a federal indictment of the two officers for the murder of my son. I see the unity in the City for a basketball win that was a long time coming. I wish my son was here to see it. It’s a shame we can’t show unity for racial problems in the City of Cleveland and in America”. “It’s important for people to remember Tamir, not just because it’s his 14th birthday, but because the criminal aspect of this case is not over. Folks have to understand that the civil case is over, but there is still a need for justice to be served. There is no statute of limitations when it comes to murder and that this is not double jeopardy. Tamir deserves his due process, he deserves a prosecutor that is going to fairly and unbiasedly represent him in a court of law. That is why I created the petition to our newly elected incoming prosecutor Michael O’Malley requesting that he continues to pursue Justice for Tamir once he takes the oath of office this coming January”. Please sign this petition to urge Michael O’Malley to file charges against Tamir’s killers. The Rice family would like to thank everyone for their ongoing support and prayers for the family. They also ask that you take a few moments of your time to remember Tamir on his 14th birthday, which is a milestone in a young boy’s life. Take that time to mentor to a young child Tamir’s age, even if it’s only for one day. We have to do more to protect our children. This entry was posted in true stories on June 24, 2016 by wiseoldsnail.